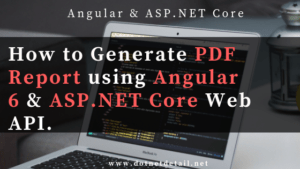 In this tutorial, we are going to learn how to download file in angular 6 using ASP NET Core web API. This is pretty simple to download any kind of file, like .pdf, .png, .jpg, .doc, .txt, .csv, gif, and xls, from server using Angular 6 and ASP.NET Core web API. 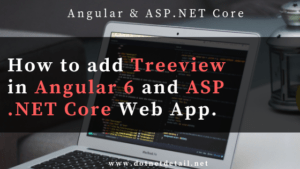 In this tutorial, we are going to learn how to add treeview in Angular 6 and ASP.NET Core Application using Web API. 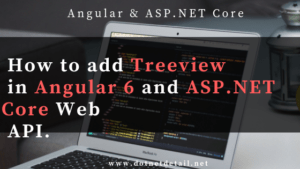 There are lots of libraries or plugins that provide us facility to implement treeview in angular 6 like Angular Material, ngx-treeview, and jsTree. 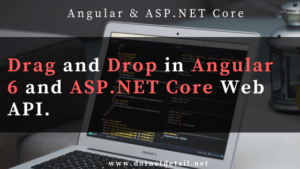 In this tutorial, we are going to learn how to implement drag and drop (dnd) functionality in Angular 6 and ASP.NET Core web API with the help of Angular Material. Angular material provides us lots of services that help us to make development quickly. In this tutorial, we are going to cover Two Factor Authentication ( 2fa ) in Angular 7 using Firebase. Firebase is a mobile and web app development platform that provide us lots of tools and services to help us develop high quality mobile and web applications. 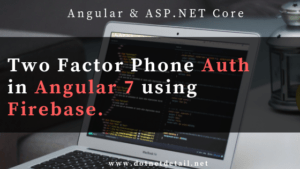 But now in this tutorial, we will use Phone Authentication service to add two factor authentication in angular 7 application. 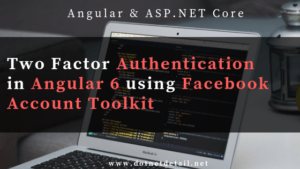 In this tutorial, we are going to cover Two Factor Authentication ( 2fa ) in Angular 6 using Facebook Account Kit. Using facebook account kit, you can authenticate your users by their phone numbers (SMS or Whatsapp), or by their Email Addresses. In this tutorial, we are going to cover how to add swagger to ASP.NET Core 3.0 Web API. Swagger is an api testing tool and it is very easy to use swagger with ASP.NET Core 3.0 Web API. We can test our APIs using swagger. Swagger is an Unordered List of representation of RESTful API. 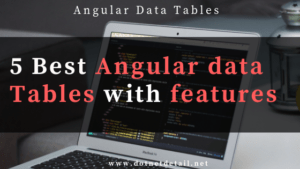 In this tutorial, we are going to cover 5 best angular datatables with their features. We can use HTML to create tables. But HTML doesn’t provide the advance features like pagination, data filtration, responsiveness, sorting and etc. To do this, we need separate code to build these specific features. In this tutorial, we are going to cover some basic ASP.NET Core Interview Questions for beginners with very short description. These interview questions will help you to prepare for the interviews from basics to advance. 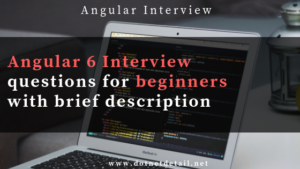 These interview question will also help you to enhance your technical skills.